There are so many places to see in the city, but what if you have only 1 day? 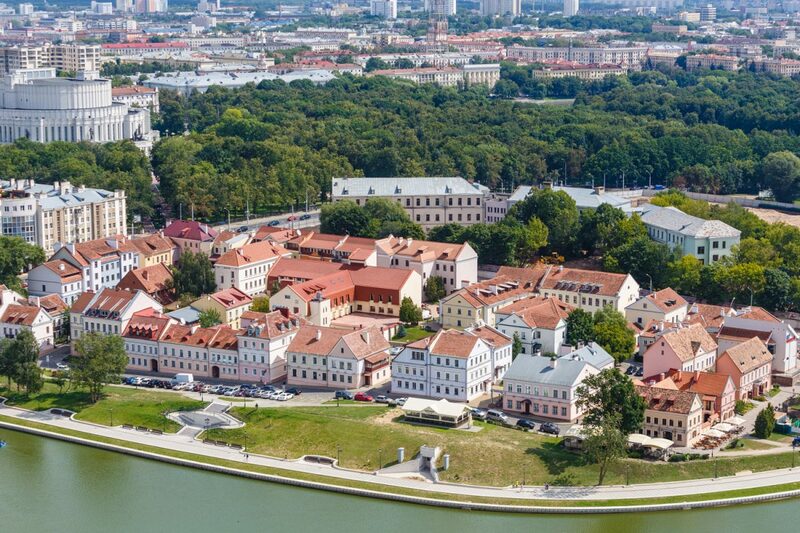 We are happy to help you to discover the city via our specially designed route around Minsk must-see highlights! 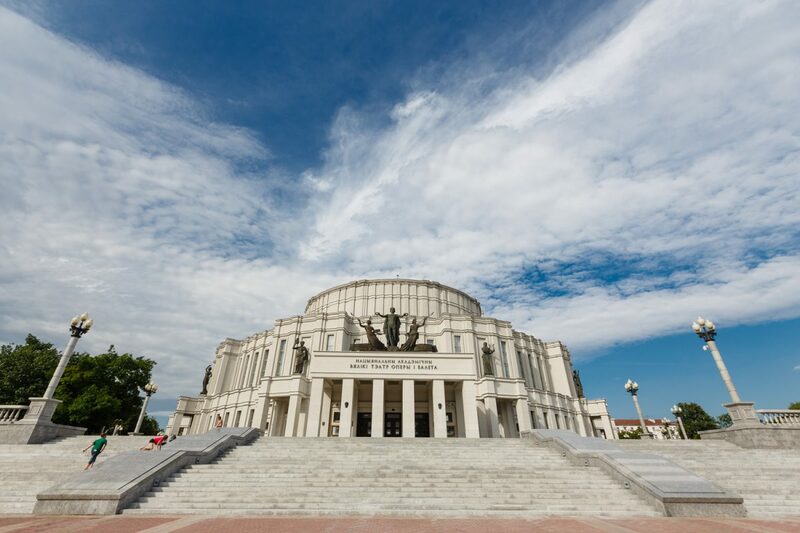 Get a quick Minsk tour! Start at Niezaleznasci (Independence) Square to see an interesting sight: the beautiful Red Church of Saints Simon and Helena (Savieckaja St., 15) standing across one of the worst enemies of the church – Lenin! Walk around this square and also check out the Government House behind the Lenin statue. But remember: if you take a pic of the House, police might ask you to delete it. Visit a very good example of Minsk’s Stalinist architecture – Central Post Office (Niezaleznasci Ave., 10) at the beginning of Niezaleznasci Avenue. Walk inside to see its magnificent interior and send a postcard home! Pass by our still existing and working KGB building (Niezaleznasci Ave., 17). Yes, it looks very attractive, but don’t think about taking a photo because it’s forbidden! Even if you don’t see a policeman around, remember that they might see you! Time for a lunch break! If you are getting hungry go to Vasiliki restaurant on the avenue (Niezaleznasci Ave., 16) and try the Belarusian cuisine. 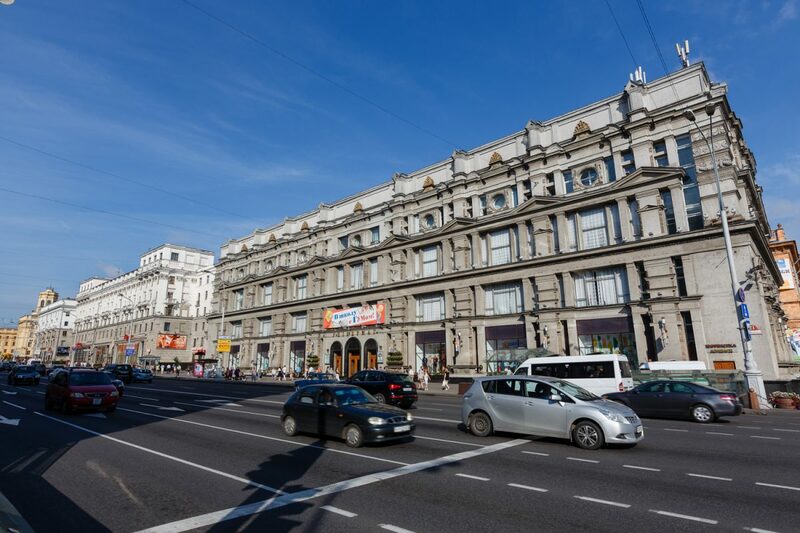 Do some shopping at the Soviet warehouse GUM (Niezaleznasci Ave., 21) where you can find all sorts of goods made in Belarus. We especially recommend Belarusian beauty care products, underwear and socks for affordable prices! Visit the ‘soul of Minsk’ – the bar at Centralny Grocery Store (Niezaleznasci Ave., 23) to meet different locals buying cheap beer, pastries, and tea. So treat yourself to a drink, do some local watching and don’t forget to pay extra attention to the interesting Soviet decoration and pictures on the walls. 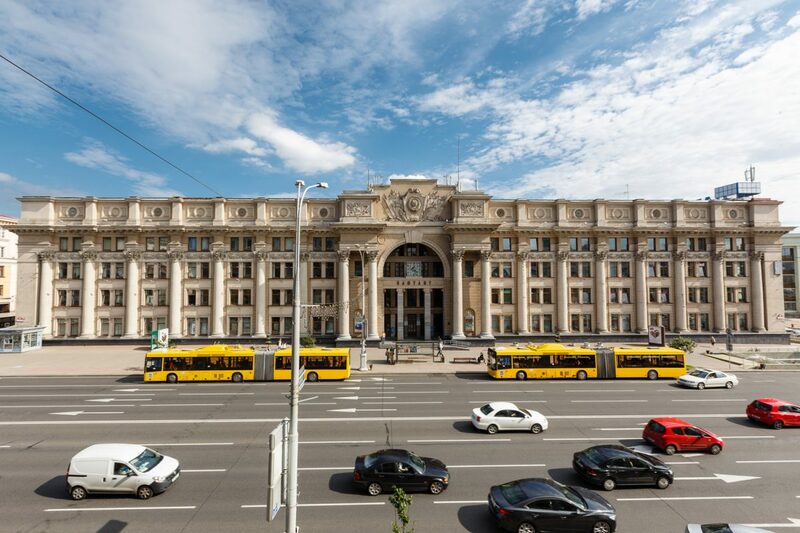 Feel the grandness of the Soviet times while standing in the centre of Kastrycnickaja Square in front of the Palace of the Republic (Kastrycnickaja Sq., 1). This huge grey building and other buildings around will make you feel very small. Go to Niamiha and walk around Upper Town with its Medieval style churches and the Town Hall. Unfortunately, most of these buildings were destroyed during and after the World War II and renovated later, but they still breathe the spirit of Medieval times. Often there are some events going on (especially on weekends). Go down to the Svislach River and get lost in the tranquil Troietskaye Pradmestie (Trinity Hill). You will love the little houses and patios. Through this area you can get to the Grand Opera and Ballet Theatre (Paryzskaj Kamuny Sq., 1.) and walk in its small but beautiful park. Take a break! In this part of the city, you will find our party-street Zybickaja with many bars and nice restaurants where you can eat something and have a drink! 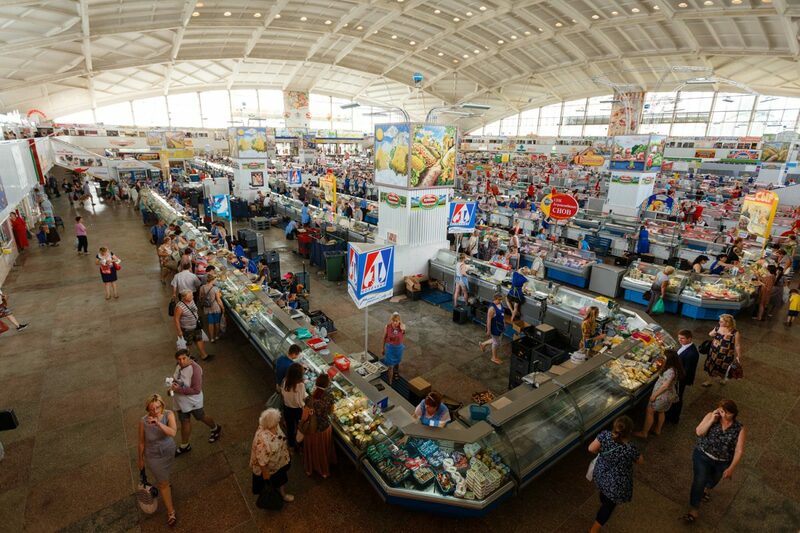 Try out and buy fresh fruits, vegetables, and other eco-products at the Soviet-style Kamarouski Market (Viery Charuzaj St., 8). There are very nice prices and kind Belarusian service! 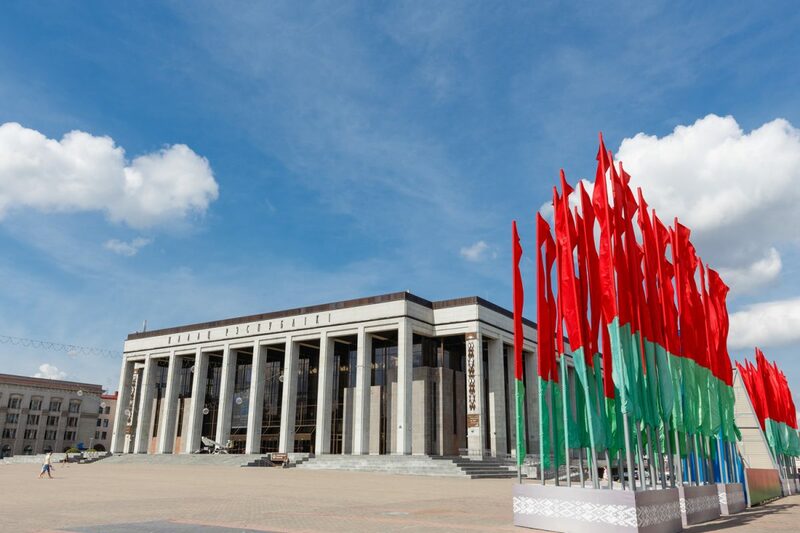 Visit our ‘Belarusian Diamond’ – the National Library of Belarus (Niezaleznasci Ave., 116). 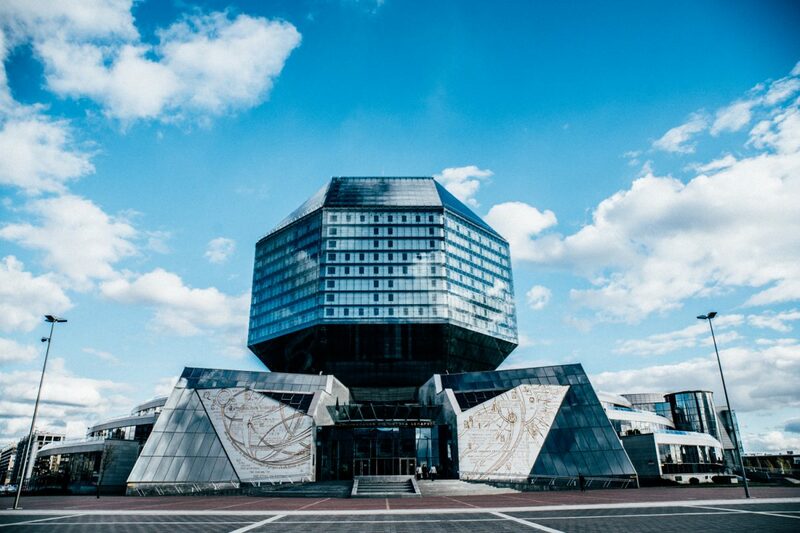 This modern glass building looks very impressive, while you can’t officially use the library without a membership, you can partake in the wonderful views of this green part of Minsk from its roof. Going out of Minsk? 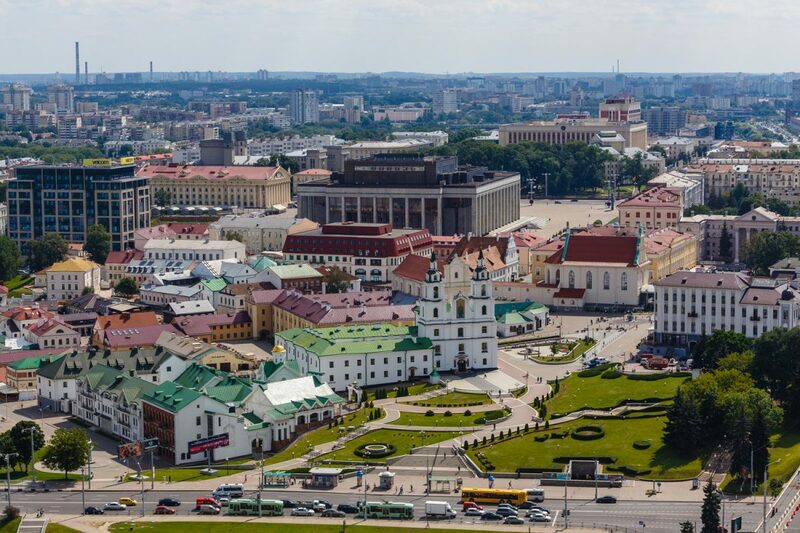 Check out our recommendations on Top-10 best places to visit in Belarus.